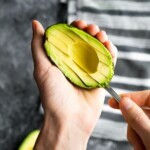 How to cut an avocado (and not cut yourself! 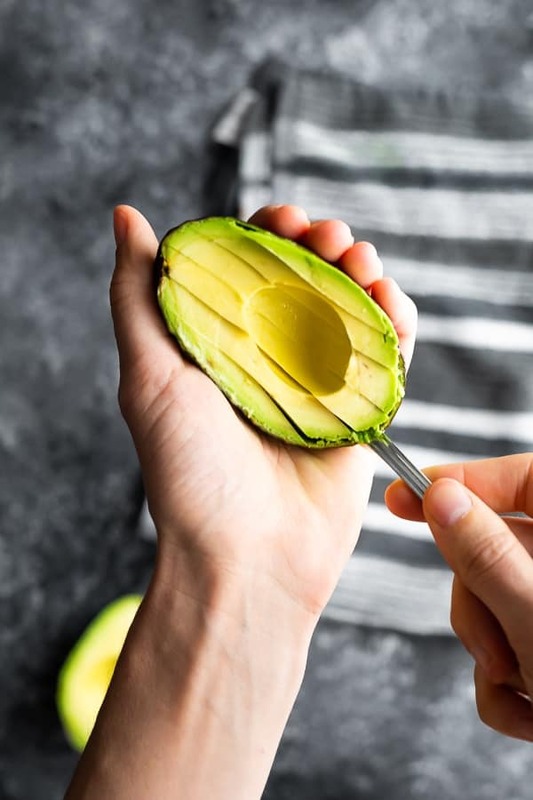 )- showing you how to protect your hand while cutting an avocado. 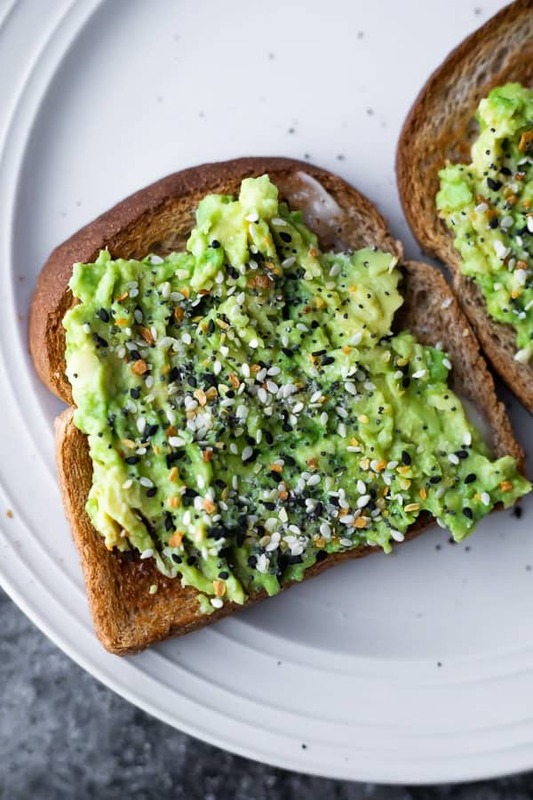 Hands up if you love avocados! ME! Hands up if you’ve almost cut yourself while cutting an avocado. Me. Today I’m showing you how to cut an avocado without cutting your hand. This easy technique takes 1 minute total time and will not land you in the doctor’s office! Observe the color: if it is green, it’s most likely not ready to serve. Brown? It could be. Black and wrinkly? It may be overripe. Give it a soft squeeze: if the avocado feels quite firm, it may need a few more days. Slightly soft? It could be ready. Very soft? You many have missed the window. Pull out the stem: if the stem does not want to come out, it is likely not ready. If the stem comes out and it is a nice bright green underneath, it looks perfect! 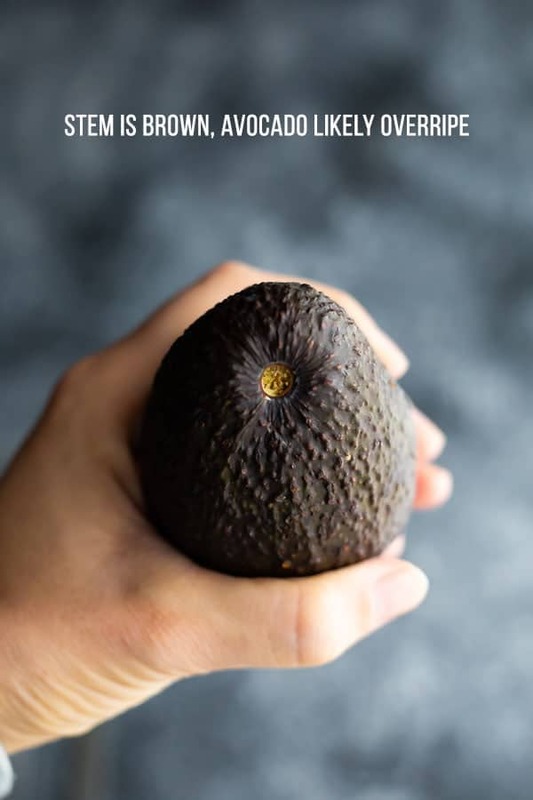 If it is brown under the stem, your avocado may be overripe. 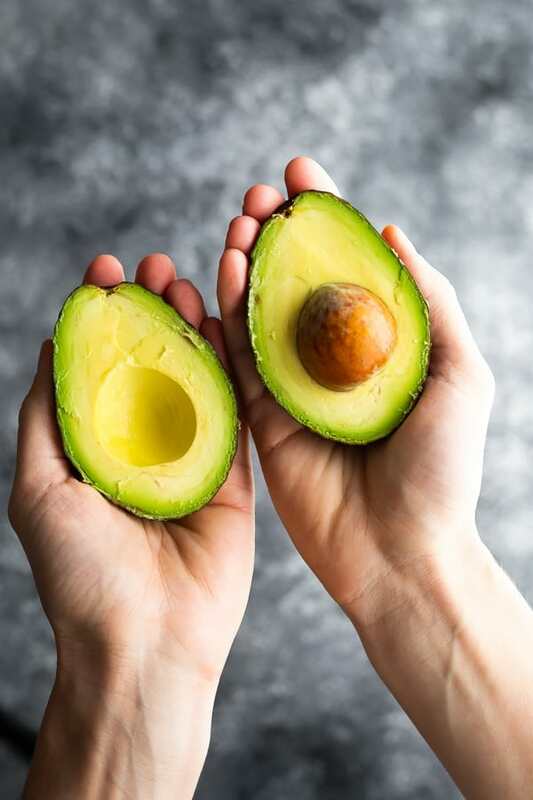 If my avocado is a nice, brown color, soft to squeeze, and the stem comes out with a nice green color underneath, all signs point to a perfect, ripe avocado! (Without cutting your hand). 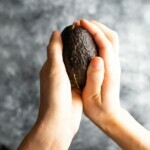 For a long time, I cut avocados in the palm of my hand, unprotected. 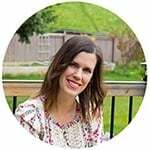 I have had a few close calls and knew it was time to change my technique! use a large, sharp knife and hit the pit with it. Twist and pull the pit out. 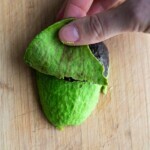 You can also peel the avocado, and place it pit-side down on the cutting board to get perfect, thin slices. What are some ways to cut an avocado? Can you freeze avocado? Yes you can! I freeze mine and use them in my favorite Matcha Avocado Smoothie. 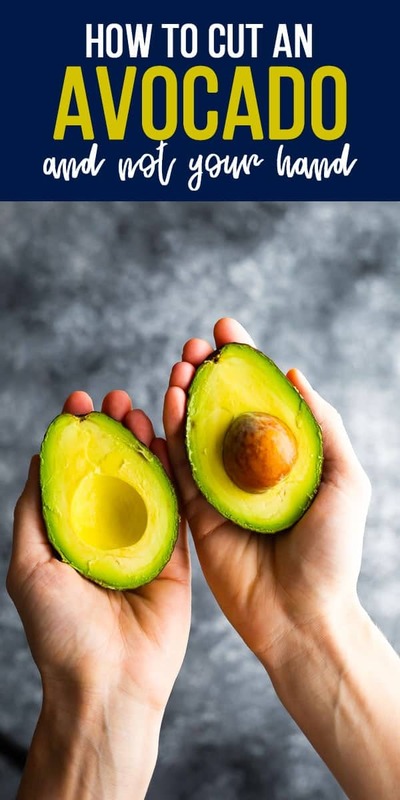 I haven’t tried them in any other recipes, but based on what I’ve read, freeze/thawed avocados are not great for fresh recipes like guacamole or serving on a salad. They may be OK to put in a blended sauce or salad dressing but I have not tested. How can I store my avocados? Leftover avocados will turn brown quickly, but with a few tips you can extend their life! First, do not remove the pit. Secondly, cover and refrigerate. Thirdly, keep away from ripe fruit as this will turn them brown even quicker. 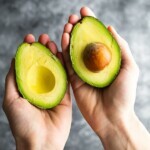 How can I ripen my avocados? If I am trying to ripen my avocados quickly, I make sure to place them near ripe fruit (like bananas). You can also place them in a paper bag with ripe fruit, which accelerates the ripening process even quicker. Apparently, baking underripe avocados with foil helps them soften up, but I haven’t tried this. 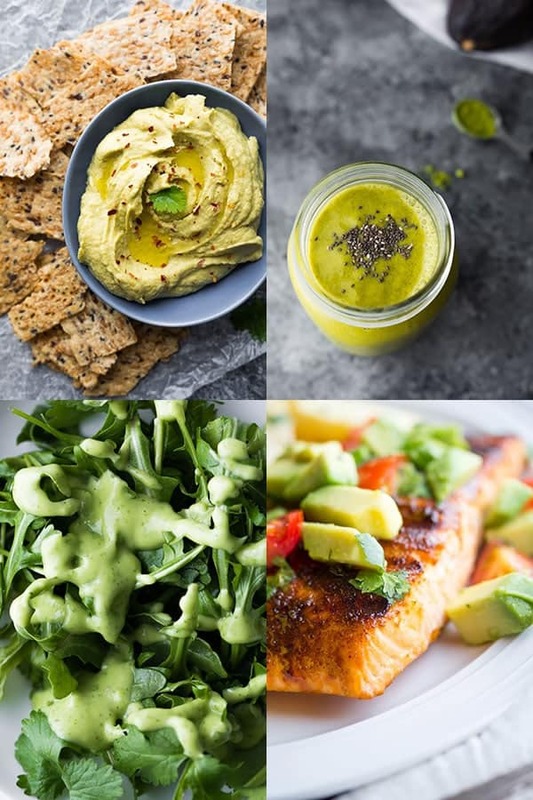 Looking for some easy avocado recipes? I’ve got you covered! 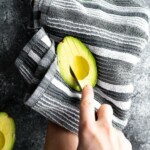 Protecting your hand with a thick tea towel, cup the avocado firmly, and work a paring knife around the outside of the avocado until you have cut it in half. 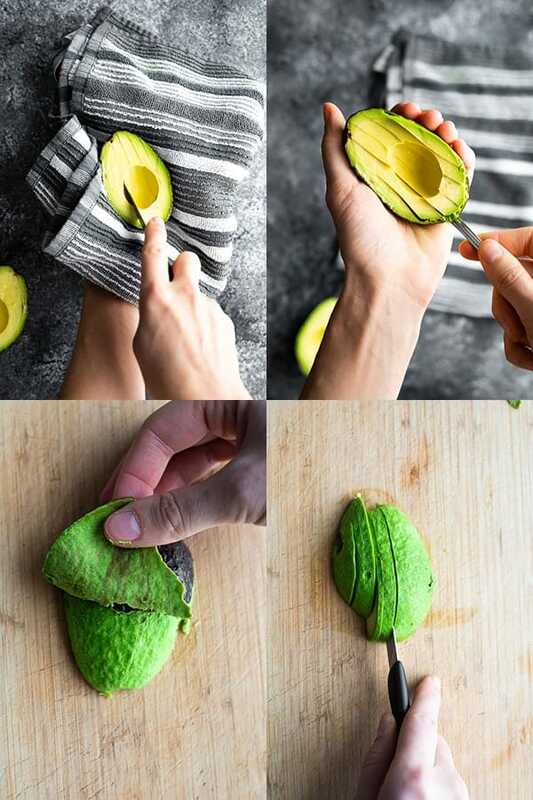 Twist gently until the avocado separates into two halves. 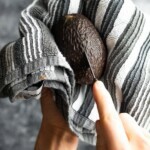 Hold the side of the avocado with the pit firmly in your tea towel-protected hand. 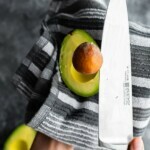 With a sharp chef's knife, firmly hit the avocado pit with the knife, so it goes into the pit. Twist and remove the pit. 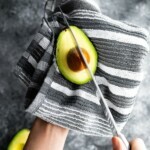 Still protecting your hand with the tea towel, slice strips into the avocado without cutting through the skin. Scoop out the avocado with a spoon, and enjoy. 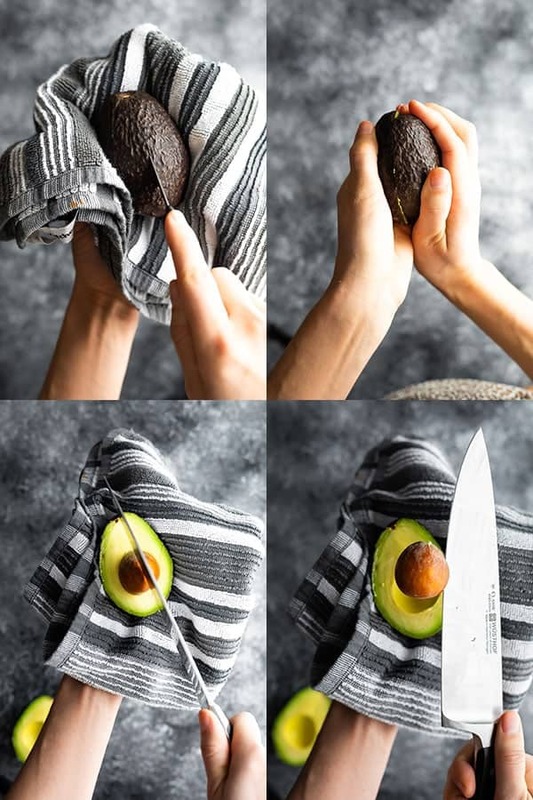 Alternatively, you can peel the avocado and slice it on a cutting board.